Taylor Sumption manages his family’s farm in partnership with his four brothers and his parents. They produce corn, soybeans, wheat and oats in combination with operating a cow/calf operation and feedlot. He said he chose farming as a career after attending SDSU for engineering. “It wasn’t until I moved off the farm that I realized how much I missed both farming and living in a small community,” he said. Sumption, who graduated from Frederick High School and earned an associate’s degree from SDSU, attends several seminars annually on topics that include business management, banking/financial, personal development, succession planning and agronomy. He devotes a good amount of time to promoting family farming and giving back to his community. Farm succession, financial planning and value-added agriculture have been major focuses in recent years. 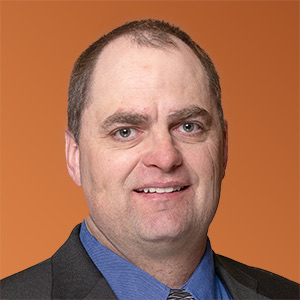 He joined the Corn Growers Association board in 2019. He is also a Richland Township supervisor, serves on his church council and is active with the Elm Valley Community Club and James Valley Antique Tractor Club. He and his wife, Cassandra, have five children: Miranda, Trevor, Marissa, Tristan and Preston. When not working, Sumption enjoys flying airplanes and camping with his family. He obtained his pilot’s license in 2012, instrument rating in 2014, and is working toward a commercial pilot’s license.